It takes many hands to raise a village, but even more are needed to raise and maintain a city. Milledgeville, Ga., has a rich history of civic pride, flowing with figures of note and decades of family ancestry. It has taken many of them and years of effort to preserve the history of the city, and the results can be seen in architectural treasures such as Ennis Hall, Flagg Chapel and the Old Capital Museum. 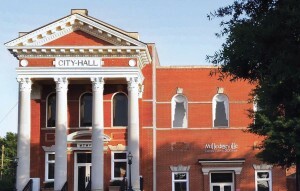 Milledgeville was the capital of Georgia from 1803 to 1868, and many still refer to it as the “Antebellum Capital.” The legislature settled on the name following the term of Governor John Milledge from 1802–06. Affectionately nicknamed “Milly,” the city won the honor of being the 2014 recipient of the Great American Main Street Award. The award is based on the preservation of downtown areas and reviving the community spirit within them. According to the National Main Street Center, “Main Streets are the traditional center for social, cultural and economic activity for their communities. The organization searches for a few specific characteristics when choosing Main Street Award candidates: a proven strategy for revitalization, a powerful network of linked communities and a support program that leads the field. Following those guidelines, “Milly” was the perfect candidate: It’s filled with museums, decades-old festivals and plenty of community stories. 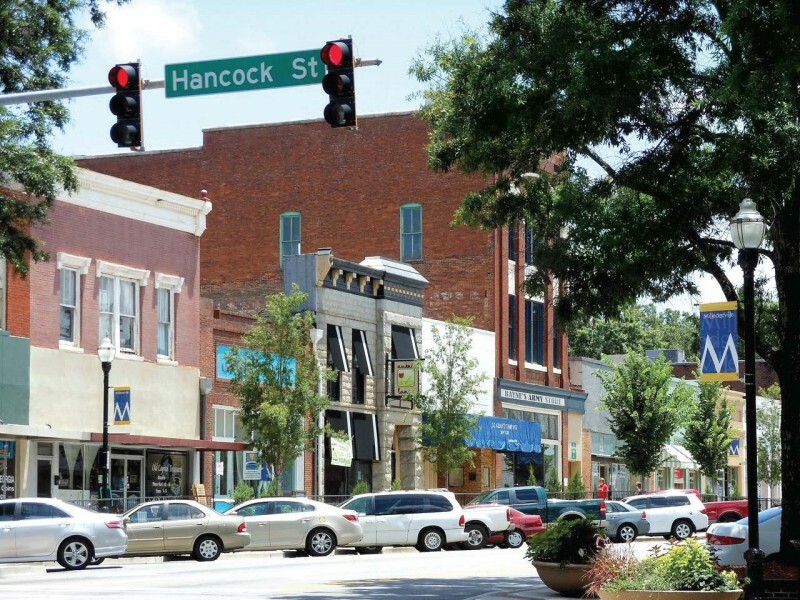 Downtown Milledgeville offers a modern twist on nostalgic heritage, though. The Old Capital Museum is located in the building where Georgia legislatures voted to secede from the union in 1861, a location that’s now on the campus of Georgia Military College. Locals and tourists join together there in appreciating the story of the city, its secession from the Union and its history of legislative rulings. The city took that notion to heart, spending time and energy to conserve other old buildings as well. Milly boasts beautiful churches that are also filled with history. Flagg Chapel, located in the heart of Milledgeville, was named after the African-American blacksmith Wilkes Flagg. Flagg created his own colony on land he owned, in order to educate residents on citizenship. Ennis Hall, a 29,000-square-foot building in the heart of Georgia College & State University, recently received some overdue updates that added to the beauty of the city and campus. Th e building is on the National Register of Historical Places, and the college took on the responsibility of preserving it. Originally a woman’s dormitory in the 1920s, Ennis Hall underwent a transformation known as “adaptive reuse” over a two-and-a-half-year time span, reopening in June 2014. Th e Ennis Hall mechanical and electrical systems and finishes had outlived their useful life. Decades of additions had masked the building’s character and history. The design team was tasked with preserving the building historically significant features while reconfiguring the interior. GCSU utilized nearly 100 percent of the existing structure to help keep the process green and preserve city history. The $9 million renovation is a highlight among the college campus and the city itself. Deana Thornton, program coordinator for Milledgeville Main Street, said without the contributions of many independent owners, the city’s beautification would not be possible. “…The current owners have, luckily, been diligent in maintaining the structures as well as the grounds of these properties,” she acknowledged. The community feel of Milledgeville is strong, as seen by the large number of public events held. After winning the Great American Main Street Award, it decided to hold a “Hometown Celebration Block Party.” Hancock Street was closed down to motorists, opened to pedestrians and “filled with live entertainment, hometown fun, giveaways and more,” according to Thornton. The celebration went so well that the city decided to host another celebration in August this year. DRF amuses visitors of all ages, including the children who participate in activities and enjoy inflatables and carnival rides; and the festival isn’t complete until the Memphis BBQ Network cook-off takes place. “The festival has received over 30 Kaleidoscope Awards from the Southeast Festival and Events Association since its inception in 2004,” said Thornton. “This event is made possible by the efforts of over 100 volunteers that work tirelessly to see the day to fruition each year.” Businesses typically see a 250 percent increase in Saturday sales compared to a regular weekend. Milledgeville has continued to add to its rich heritage. Grant-funded pavilions are home to two different farmer’s markets downtown, and Georgia College students sponsor a two-night music festival inside local bars and restaurants. The Oconee River is a tourist attraction and the site for many family events throughout the year. It’s thanks to all the groups and others that the city has become known for beauty, scenery and outstanding preservation of rich historical settings.